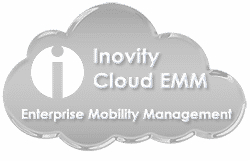 As an RFgen Solution Partner, Inovity delivers mobile framework solutions that provide built-in, native functionality for extending real-time and on-demand access to enterprise data to virtually any mobile device available today. RFgen ERP integration provides certified, open-source transactions and integration with Oracle E-Business Suite, Oracle JD Edwards, SAP, Microsoft Dynamics and Deltek Costpoint. Extend data to your workers on-the-move with connective middleware.